The lights are still on and they all seem to have gotten rich. It can prove difficult to pick away a status quo from the drone of light and noise, but there is a difference between a streak of good luck and a lived-in fortune. Most of the bunch gathered here and humming tonight seem used to the inevitability of losing and gaining their money in huge strides both ways. When Mr. Boo leads the charge of losing bets with over four hundred thousand dollars from his own pockets, it is no great ordeal. There is consolation and commiserating, but no hand wringing over bankruptcy or a system gone foul. It comes and it goes, the old money of Salty Bet all know, and no one expected Homer Simpson to drop a match to this sword-wielding He-Man type. All the old platitudes are still here. You bet on DBZ. You yell at your waifu. You praise and bemoan with all the other “salties.” You leave the Caps Lock on. It feels like nothing at all has changed. 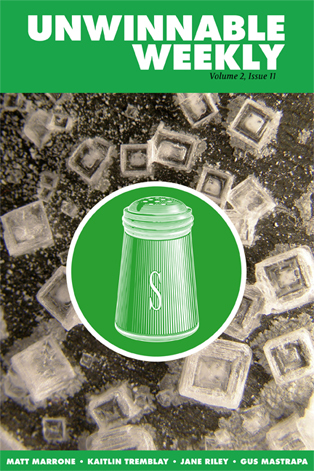 For all I know, the matches haven’t stopped in two years, the stream hasn’t bucked and some improbable salt miner has never lost a bet. But to watch it all go again — the call of a fight and its odds, the responses begot by winning or losing large — is to notice the rounded corners of how this one-of-a-kind site does its business, the cleanness and responsiveness of its key machinery and the lengths it has gone to keep the salt flowing among whoever will show up. The vintage Salty Bet had all the lawlessness and trample danger of a gold rush. Anyone could join the throngs and watch their complimentary dollars melt away with a few you-had-to-be-there fights — and a lot did. The site and the stream and the mile-a-minute chat all hung themselves, just over the edge of being irredeemably broken, and seemed happy to do so. It was a spectacular thing to be told about and to see, but not look straight into for yourself. The thing that Salty Bet is now that it was not, or did not have the breathing room to be before, is complex. Not complicated, because very little about the act of picking a side for your money needs tooling with, and Salty Bet has kept its big inviting betting buttons. Complex. Wander into Salty Bet now and you will be able to do the very thing you came for — bet, saltily — but in the background of all the purely superficial speculation, there is new depth. The system moves regularly through tournaments, user-requested exhibition matches and the old random matchmaking. It lets players know how many matches remain until it downshifts into the next phase. Tournament money is a separate allowance, with winnings added to a user’s total at the end. Most interestingly, though, the MUGEN cast of fighters is now stabled into discrete tiers, and earns promotions (or demotions) based on their performance. Each tier (P, B, A, S, and X) holds dozens and dozens of fighters. 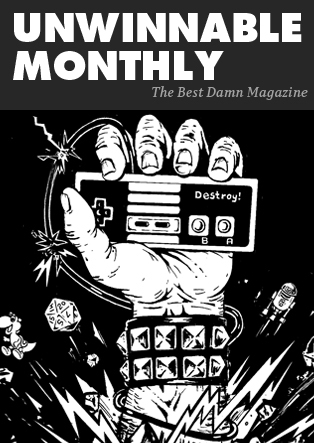 You’ve been reading an excerpt from Unwinnable Monthly Issue .